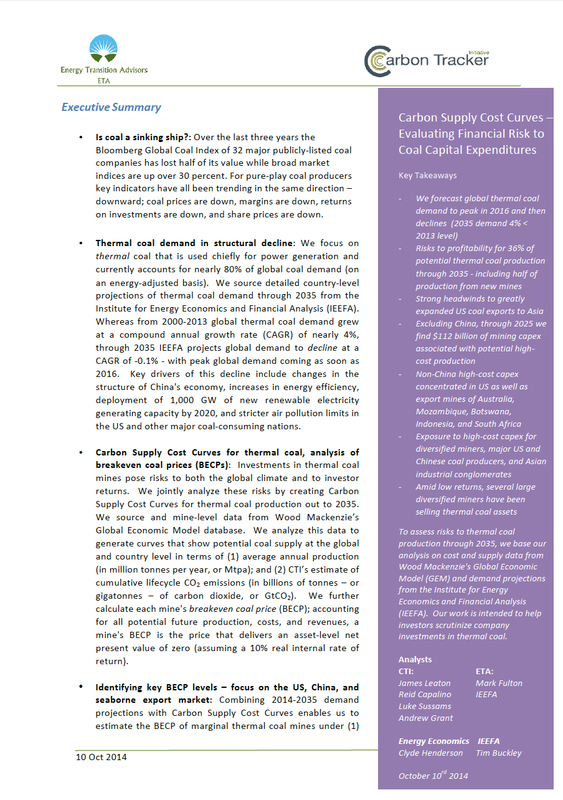 CTI recently released a report on thermal coal – Carbon Supply Cost Curves: Evaluating Financial Risk to Coal Capital Expenditures – which highlighted that $112bn of future capital expenditures (excluding China) related to potential production/supply of thermal coal are not economic given IEEFA low demand forecast, so have the potential to turn into wasted capital. 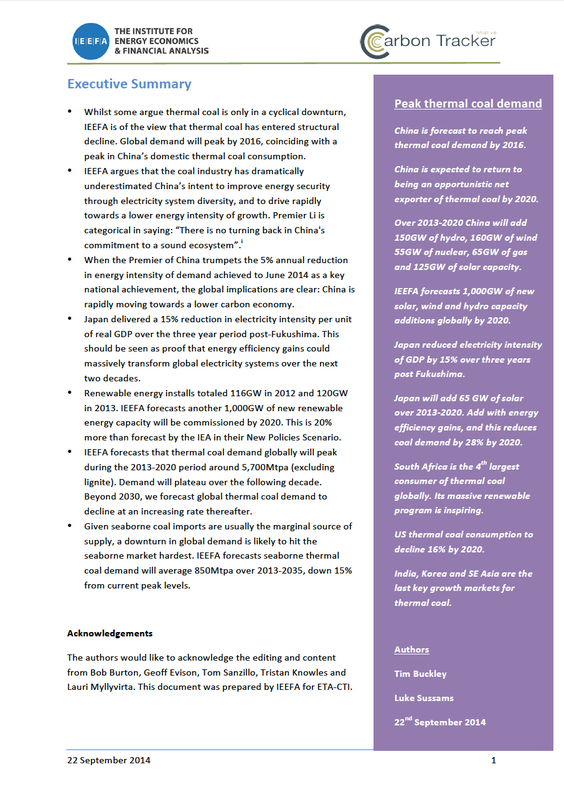 CTI’s report is underpinned by three analytical and detailed research papers on coal demand, supply and financial trends, produced in close collaboration with Energy Transition Advisors and the Institute for Energy Economics and Financial Analysis (IEEFA). 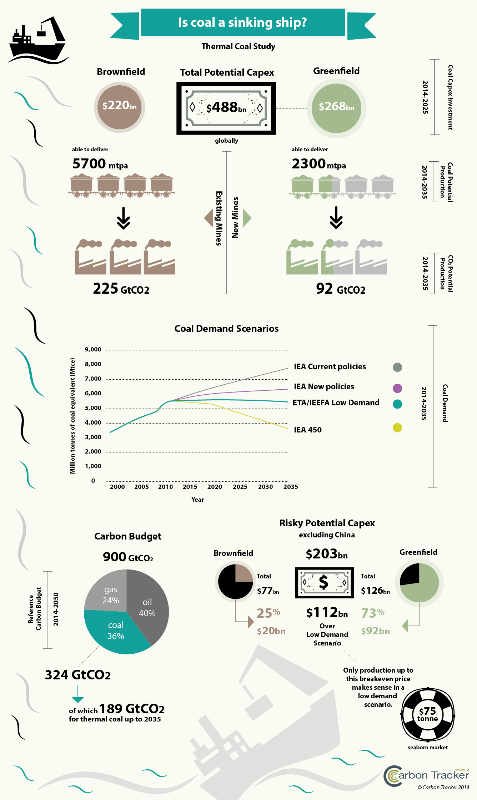 This infographic shows the alarming chasm which exists between potential thermal coal supply and a low demand scenario, that is likely to materialise due to climate and environmental policy, energy efficiency improvements, cost competitiveness of renewables and a structural weakness in coal prices. 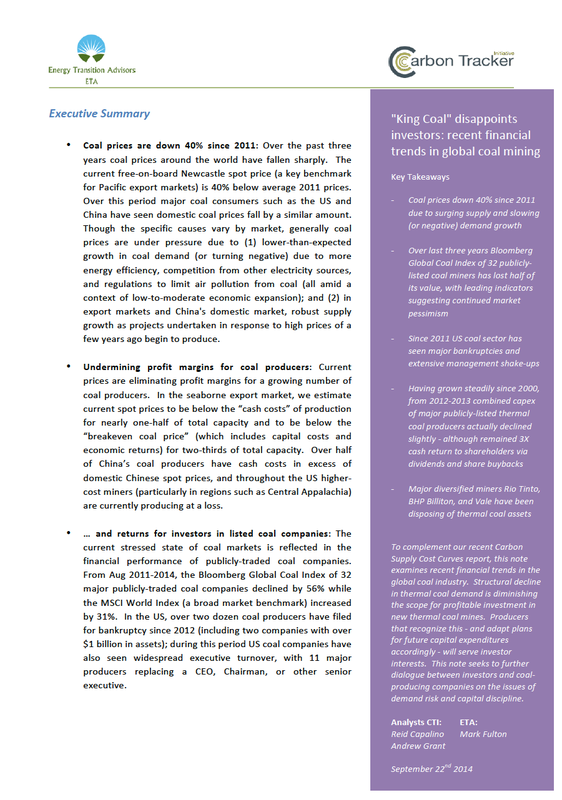 Copyright © Carbon Tracker Initiative 2014, All rights reserved.